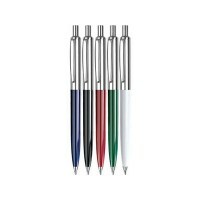 Metal Ballpens give that extra feel of quality as a gift to your customer. Corporate Executive Pens are one of the most popular promotional gift items. We have our standard range, or if you are looking for something a bit extra special, we can also print or engrave more upmarket brands, such as Parker and Cross Pens. 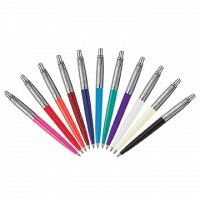 The Giotto Ballpen is a popular, classic, Push-Button Advertising Pen, available in 5 different Colours. 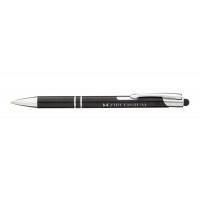 These popular pens are excellent value for money and are suitable for all promotions and events. The Curvy Contour Metal ballpen is a very popular promotional executive pen. 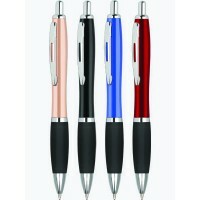 Available in four colours, the Contour Pen will be a well received gift advertising your company. 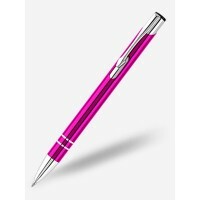 The Electra is a stylish Promotional Metal Pen available in 10 vibrant, anodized colours. This ballpoint pen can be printed in up to six spot colours matched to your requirements, or can be laser engraved in a variety of positions on the barrel. The Electra Range is made from high quality aluminium and is available at extremely affordable prices. We love the Parker Jotter ballpen. This promotional favourite has a choice of barrel colours with a smart stainless steel trim. The pen is supplied in a Parker gift box and has blue ink. 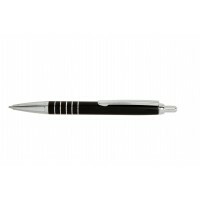 For a metal ballpen, at an 'out of this world' price, our Saturn Ballpen is a fantastic choice. It has stylish matt-effect barrels with five rings encircling the barrel for an eye-catching look. The pen is supplied with black ink.